If you can’t afford your monthly mortgage payments, but wish to stay In your home, the Pujol Law Group can help you! 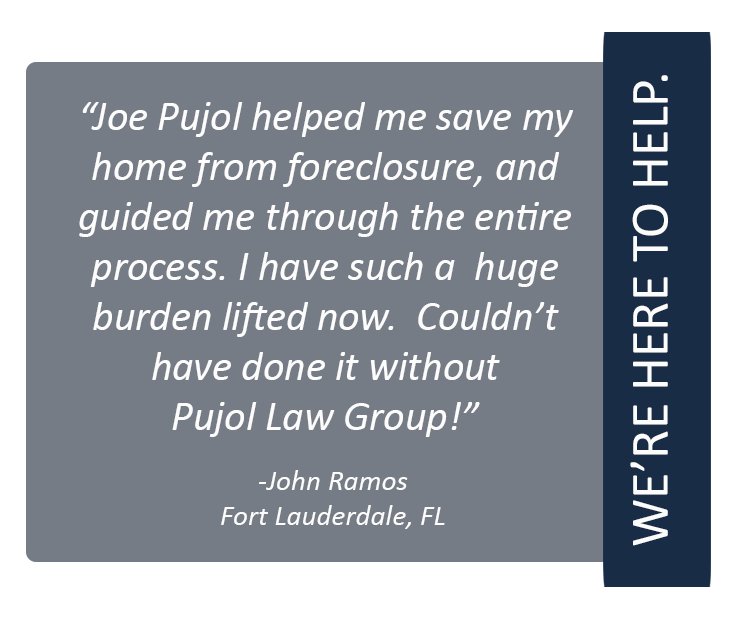 The difference between Pujol Law Group, and other real state attorneys is that Pujol Law investigates and digs deep into with various forms of loss mitigation alternatives, to get the best results possible for your loan modification. Luckily, the U.S. government and various lenders have increased their cooperation with mortgage loan modification. This cooperation has greatly assisted borrowers in avoiding foreclosure and staying in their home. This means, you have a better chance to get the outcome you deserve. Pujol Law will make sure of it. We provide you with a free, detailed comprehensive evaluation to understand your current situation. From that evaluation, we’re able to put together a strong strategy to present to your lender, to achieve the very best solution for you! Loan Modification may be the answer to your real estate needs. A loan modification may give you a fresh start, and bring your mortgage up to date. If you qualify for loan modification, you may be able to extend the repayment of the past due amounts, over the remaining term of your loan. This can help in amazing ways. Pujol Law can help you make this happen. Reinstatement: This occurs when the property owner pays off the amount in default to bring the loan payments current. This will stop the foreclosure , return to the original terms of a loan, and lift a huge burden off of your shoulders. We will first identify your most feasible foreclosure alternative, and we will work with you to make it happen. Repayment Plan: A repayment plan is the perfect option for someone that has experienced momentary financial hardship, but is now back on their feet. This foreclosure option lets you repay part of your delinquency each month, as well as your regular monthly payment. 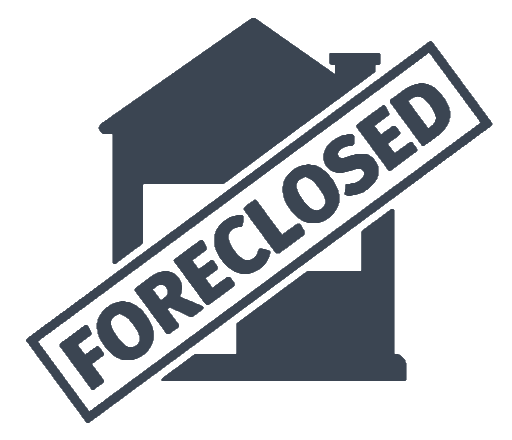 Pujol Law will negotiate with your lender to spread the past-due amount over a specified period of time. Forbearance: In order to stay in your home, a lender will agree to delay or reduce payments for a short period of time, This is called a forbearance. A forbearance occurs with the understanding that another option will be used to bring your balance current. This other option will be presented to you, and Pujol Law will negotiate to get you the time you need to determine the best solution for you. We have a history of succeeding in combining a Forbearance Agreement with a Reinstatement or Repayment Plan. Re-Set Modification / Short-Refi: If your loan amount is more than the value of your property due to depreciation for reasons beyond your control, Re-set Modification may be available to you. In some cases, the principal balance can be reduced. Re-set Modification can generally result in lower monthly payments and a lower interest rate. Temporary Rate Reduction: This option may be available to you when you have ongoing financial problems which are likely to be temporary in nature. These financial problems will preclude full payment of the mortgage for a foreseeable period of time, and therefore make you eligible for a Temporary Rate Reduction. Pujol Law will design a feasible plan for increasing your income to make full payments at the expiration of the rate-reduction period. This option will keep you from falling further behind. Pre-Foreclosure Sale: This option will allow you to sell your home and avoid a potential foreclosure. Avoiding foreclosure will help you avoid the derogatory credit rating that comes with foreclosure. Please keep in mind that this option is only if you do not want or can no longer afford your home. Deed-In-Lieu of Foreclosure: This is another foreclosure avoidance program that allows you to convey, or transfer, your interest in the property to the lender, loan investor or the government. This option is only if you do not want or cannot afford the home. Short-Sale: This is another foreclosure avoidance program in which the sale of your house falls short of what you still owe on the mortgage. Your lender will agree to accept the proceeds of a short sale and forgive the rest of what is owed on the mortgage when you cannot make the mortgage payments. By accepting a short sale, the lender can avoid a lengthy and costly foreclosure, and you are able to pay off the loan for less than what is owed. We anticipate your call, to gather all relevant information, and assist you with this process, from start to finish.